I remember seeing Alexander Reford for the first time many years ago when he was single-handedly manning a small booth in a garden show. He was quietly marketing his great grandmother’s garden, called Les Jardins de Metis. I thought, “Who is this fellow and what is this garden with the funny name?” It wasn’t until some time later than I began hearing more about the Reford Gardens and how it’s reincarnation was gaining notoriety for hosting an international garden festival where avant-garde designers were creating weird and wonderful conceptual gardens. 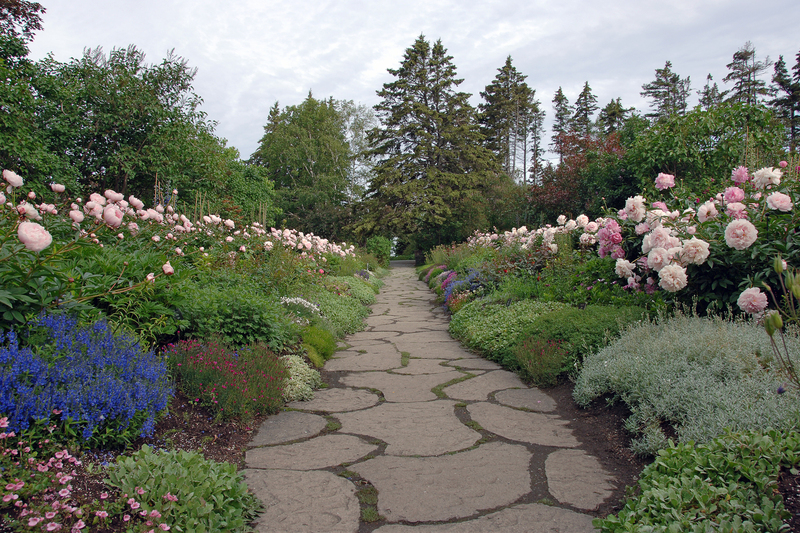 Les Jardins de Metis (or Reford Gardens, as it is also known) is on the banks of the Metis River, 220 miles northeast of Quebec City. 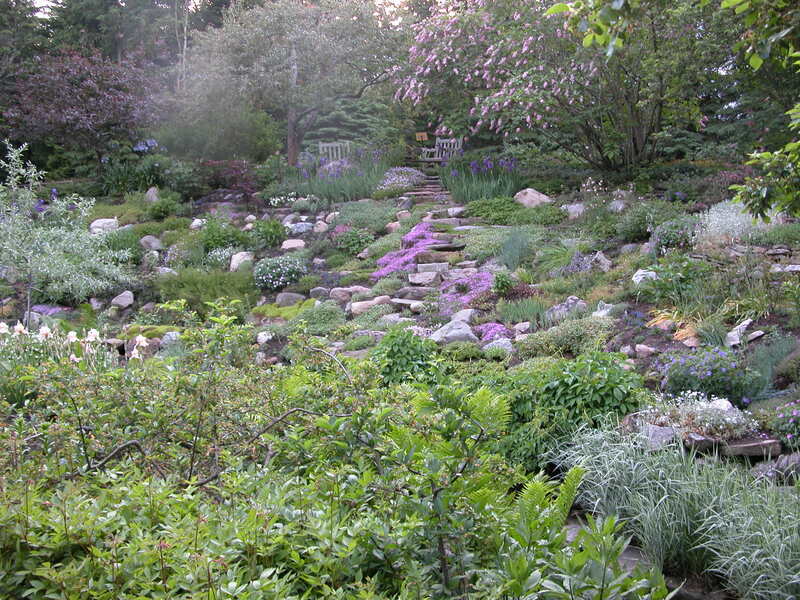 It has been the site of an International Garden Festival since the summer of 2000. 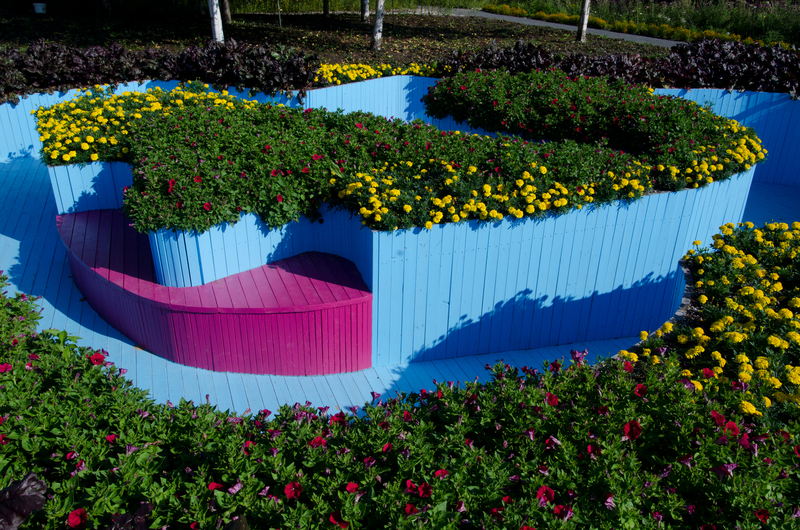 The contrast between these provocative displays by international designers and the original garden that slowly but deliberately grew out of the earth on a wild property in the 1920s (and beyond) is not as contradictory as you might think. 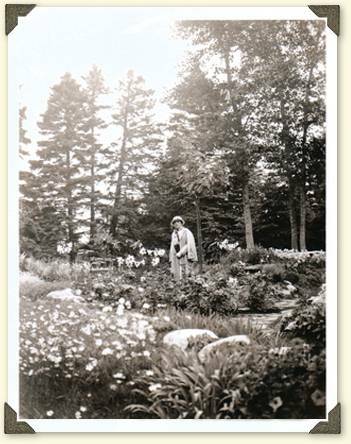 When in middle age Elsie Reford took possession of her wealthy uncle’s rustic and rambling ‘man cave’ called Estevan Lodge in 1918 (where he hosted salmon-fishing parties miles away from his home in Montreal) she may not have known the extent of the garden she would grow there. In truth, she spent her first eight years doing everything but gardening on this vast property: canoeing, riding, hunting and fishing were the daily routine. But in 1926, a surgery following appendicitis prompted her doctors to suggest that she garden (seen, at the time, as a sedate pastime) as a way of recuperating: Ha! Little did her doctors know that 54 year old Elsie’s idea of gardening included moving boulders, mountains of earth and taming much of the surrounding wilderness. Elsie’s gardens were not demure and pedantic. For the time, they were both traditional and adventurous, and yes, in many ways, provocative. An important days work, trying to devise something better along the brook than the lone line of petunias which is not in keeping with the nature and character of the high bank. Had the rocks placed much more irregularly and then tried planting as a great innovation a shrub namely an Acer palmatum “Atropurpureum”and some spireas and depta from reserve. It is an experiment and may succeed. Elsie Reford had a privileged childhood and married into wealth, but she was not supercilious. She had the means to hire men from the surrounding communities, where unemployment was high, and did so to help her create this garden. The soil in this location was poor and so she asked neighbouring farmers to sell her peat and sand. Combining these with compost, the novice gardeners amended the inhospitable soil that would shortly become home to a varied selection of plants. 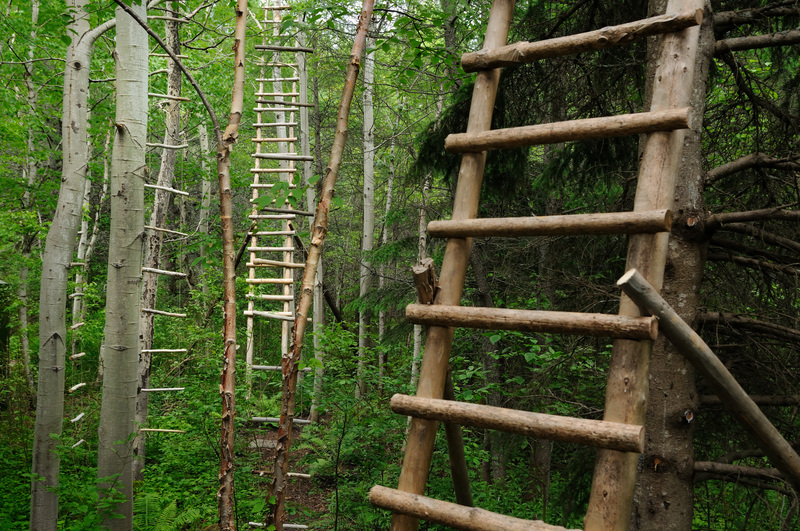 She taught the men she employed how to make planting beds, arrange plantings, transplant trees, make compost and care for hundreds of plant species. At Estevan the natural soil which is chiefly of a forbidding sort of clay, was excavated to a depth of two feet and the first four inches filled in with beach stones about the size of an egg; after that six inches of gravelly grit and the remaining fourteen inches were given a mixture of two parts finely cut leaves, one part and one part of a gritty sand. 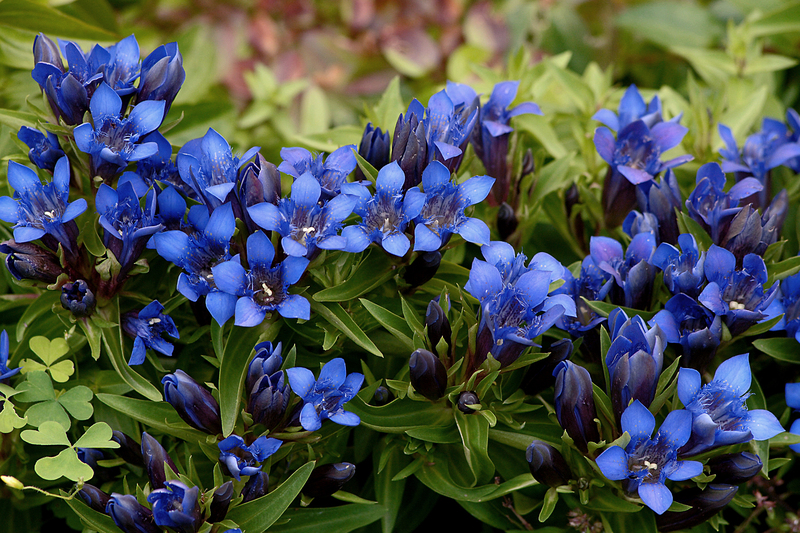 Into this the Gentians were planted and the whole strewn over with fine gravel. 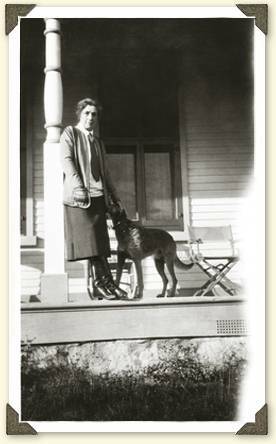 At times thwarted by crippling allergies, not to mention advancing age, Elsie Reford nevertheless became an experienced plantswoman. 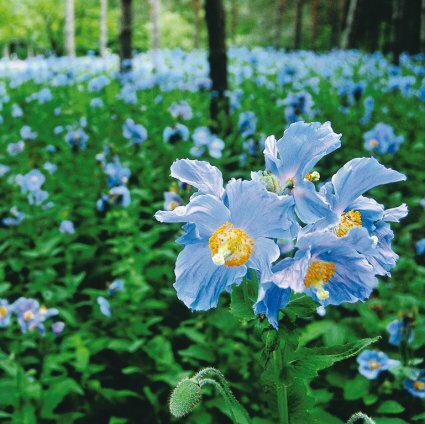 She sourced plants that were unusual in Canada at the time (azaleas, gentians, primroses and Himalayan blue poppies, for example) and created areas where they thrived. She even wrote articles for erudite horticultural journals like that of the Royal Horticultural Society and the North American Lily Society. 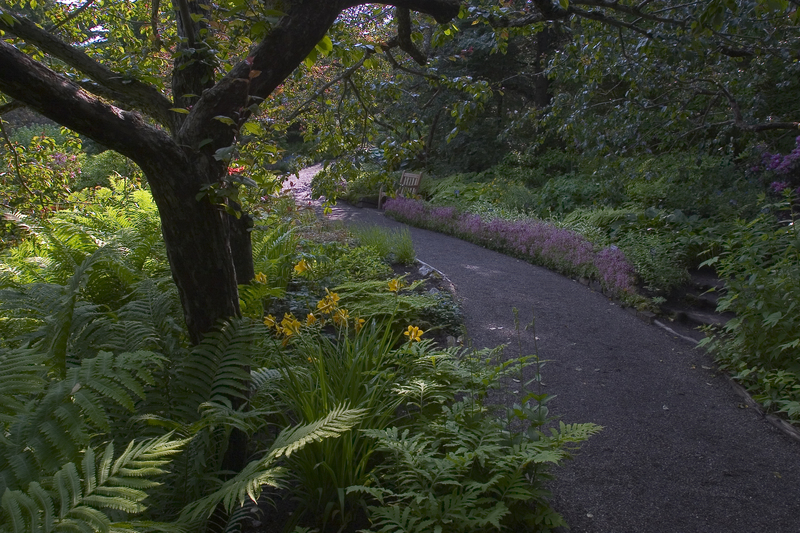 Today the Gardens were visited by 4 American horticulturalists, one of them a botanist and all were unreservedly enthusiastic about everything they saw – declaring that taken as a whole they would call it the most beautiful garden they had ever seen. Very high praise from people who were really knowledgeable and who have seen many gardens. It was quite obvious what enjoyment and interest they obtained from the visit. 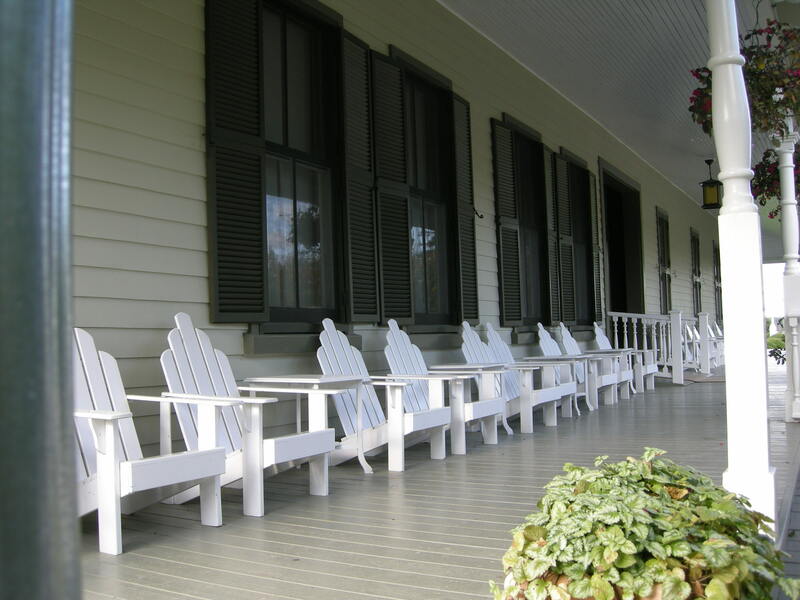 Before Elsie acquired the property from her uncle, the lodge’s only flowering ornamentation was comprised of simple planters on the wraparound verandah. Yet, as she entered her final years three decades later, twenty acres of the property had been manipulated into gardens. 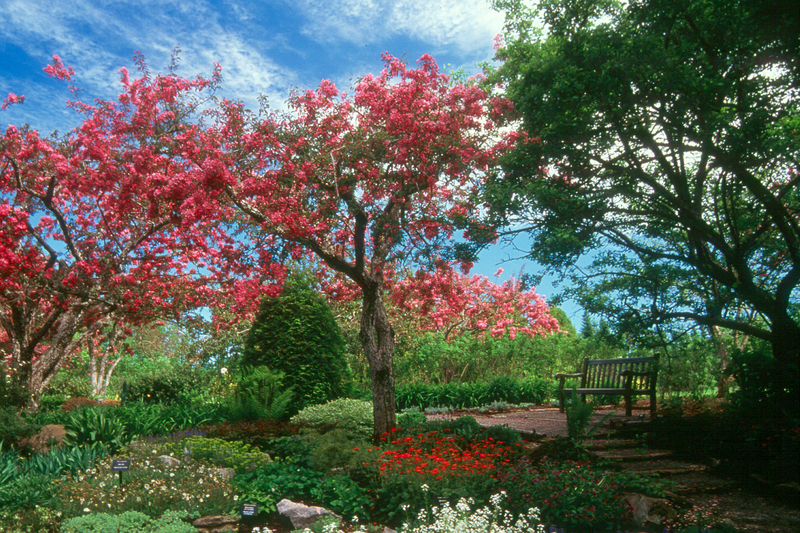 This gardening force withdrew from her country paradise in 1959 and died at her urban home in Montreal at the impressive age of 96. 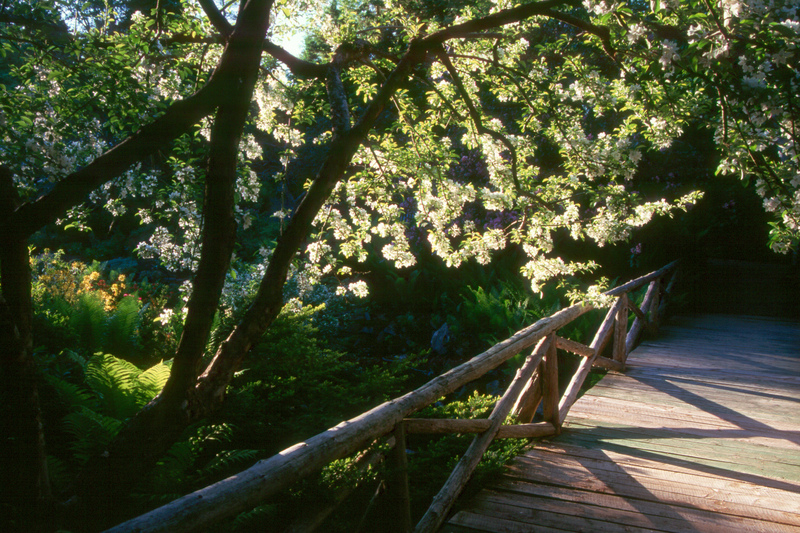 However, in 1994, the Government of Quebec was poised to close the garden. 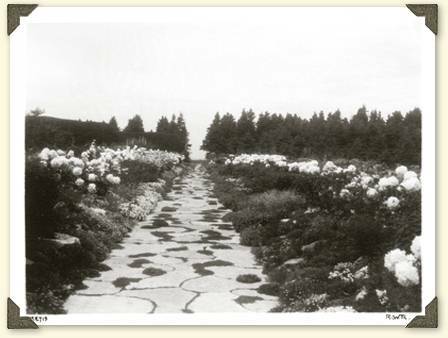 Through a series of negotiations and community rallying, the garden was purchased by Les Amies des Jardins de Metis in 1995. You can read about its reclamation by the Reford family and the community here. 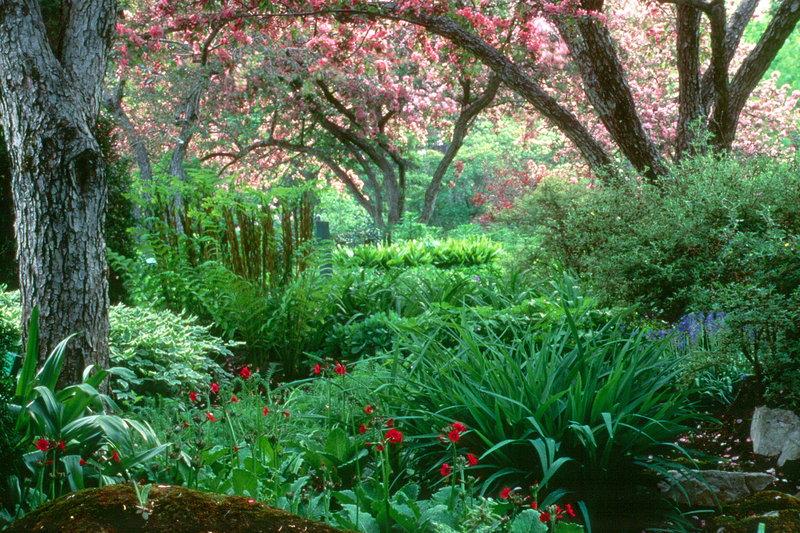 Do plan a visit to this historic and exuberant garden in our own backyard. It is worth participating in its re-birth. The archived photos reproduced within this post, as well as the quotes from Elsie Reford herself, have been borrowed from this website, lovingly created by Alexander Reford. Thank you Alexander for allowing me to use these photos here. What a wonderful article to read on this dreary November day. I have seen on the television show Recreating Eden, a couple of stories featuring this garden, from the rebuilding through to present day. 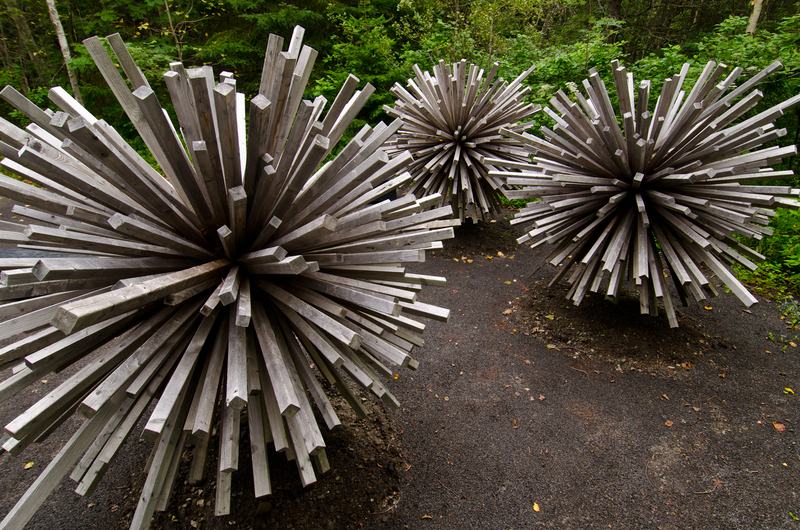 I have not visited the garden in person but 2012 sounds like the perfect year to go. 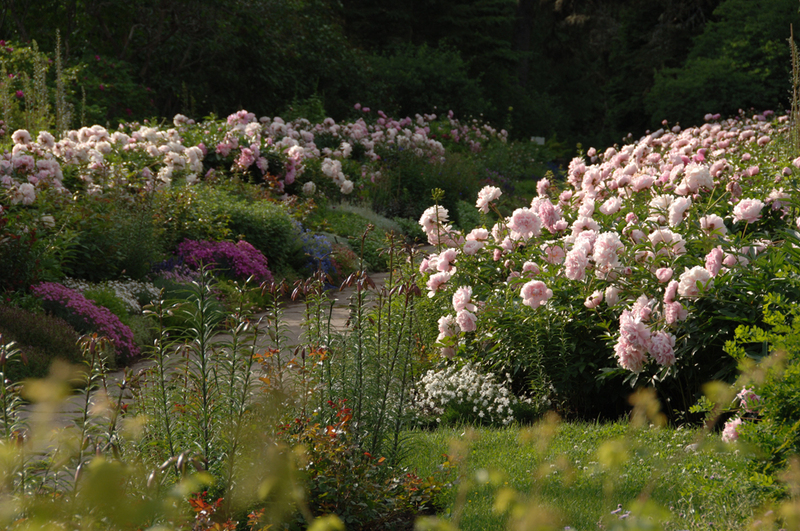 Its quite obvious that we don’t have to travel to BC to see an exceptional garden, there is one practically at our door step. Hi Libby. If you can see it, there is a new TV show caled Le tour du jardin on the Reford Gardens today at 6 pm on Historia (and everyday of the next week at different times). Hope to see you next summer. Wow, thanks Sylvain! I’ll be watching as well. I’m not sure I can get Historia while I’m on holiday in Florida – I’ll look it up and hope to find it. Yes, Libby. I saw that episode of Recreating Eden too when I was flying back from a winter holiday! It would certainly be worth visiting in the flesh next year – I agree. Thanks for letting us know about this garden. I’ve certainly heard about the garden festival, but never anything about Redford Gardens. You’re welcome James. Thanks for stopping by – maybe we’ll all run into each other next year when we visit!